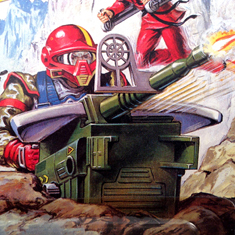 The Anti-Aircraft Gun rotates left to right, spraying fire at the enemy. 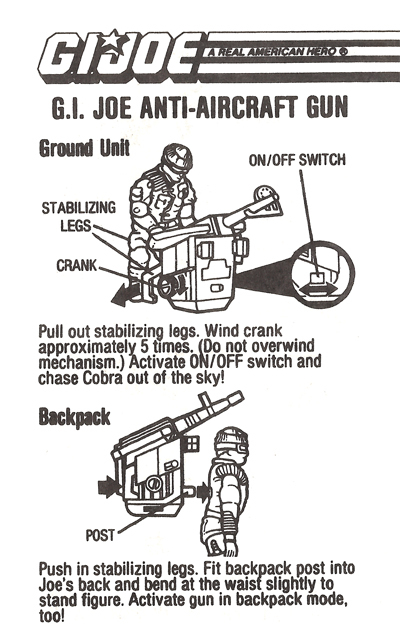 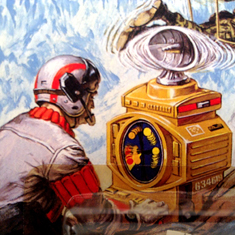 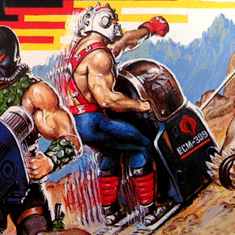 Each of the Motorized Action Packs can be "packed up" and worn like a backpack. 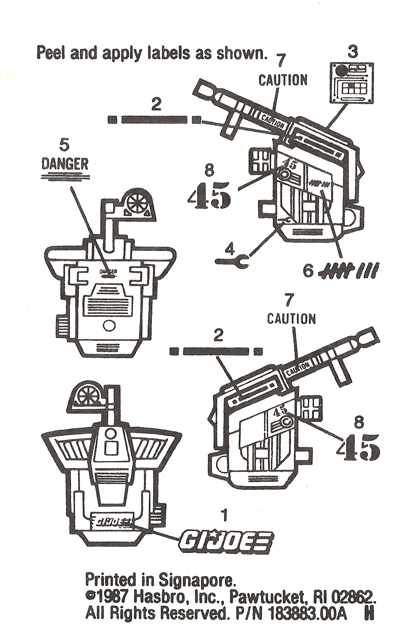 The targeting sight can flip down to aim. 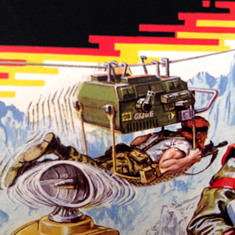 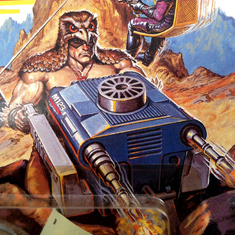 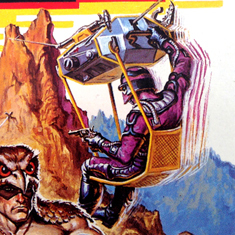 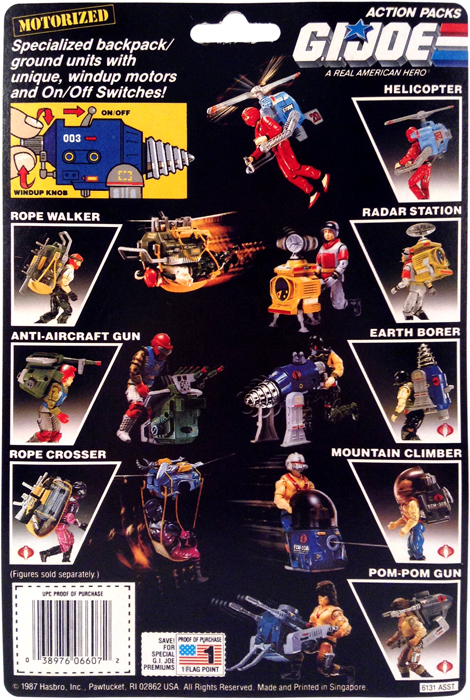 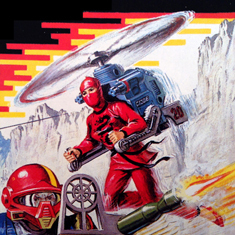 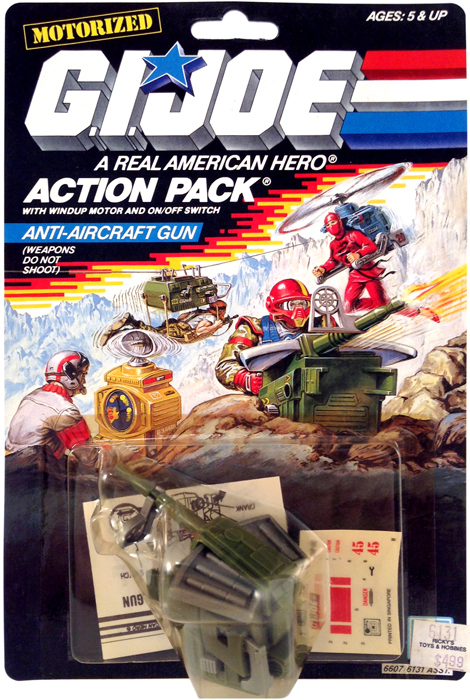 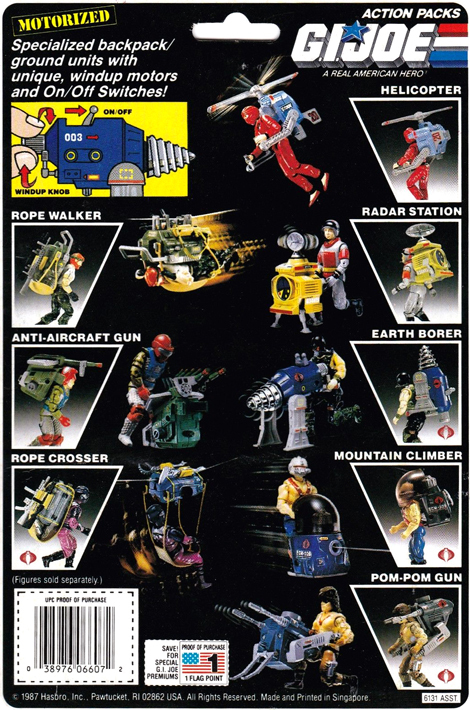 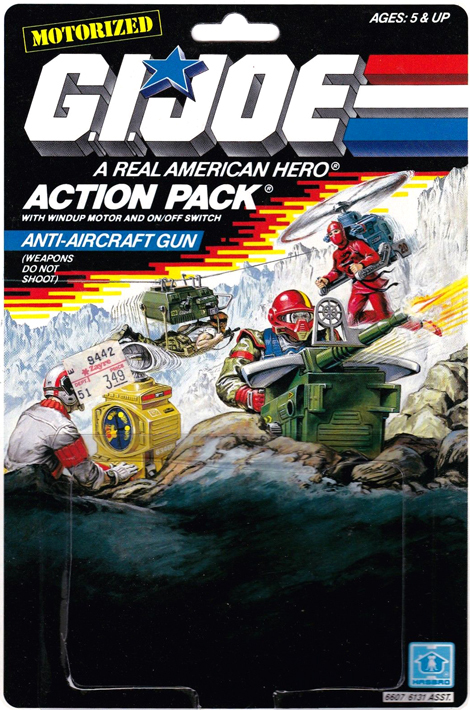 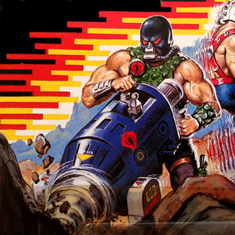 NOTE: Although the box art shows Fast Draw manning the Anti-Aircraft Gun, and he's pictured above, he did NOT come with the pack.